A Fallout 76 Build by Flakpuppy. After playing nearly every hour of the PC BETA, and much time in reflection, I have put together a build that I feel will serve me well as a predominantly solo player. I looked over a lot of the other character builds on various websites and they all seemed to lack sufficient versatility for my play style or neglected access to key parts of the game by trading off Intelligence for heavier-hitting options. Additionally, while it is great to throw out a bunch of random Stats and Perks, I almost never see a level-by-level plan for how to reach that complete perk set. Sometimes, after reviewing an interesting build, I come to discover that most of the selected cards are only available much later in the game (e.g. levels 25 to 50 range) and lacks a real path forward. Therefore, I am putting forth my personal build with complete level-by-level build guide. This build is primarily centered around accurate rifle-fire at the medium-to-long range, along with all of the necessary Perks to enable a solo player to be able to go take on the majority of enemies, gain access to all game content (i.e. all Picklock and Hacker Perks), while still being able to carry back enough loot to make the journey worthwhile, and still be able to either vanish into the mist by going stealthy (Escape Artist Perk and Chameleon Mutation) or run like hell and get out of Dodge (Marathoner and Action Boy Perks). For those interested in getting a little closer, or sending more bullets down-range, you can simply swap out the Rifleman Perks for Commando and grab some automatic rifles. On a side note, I do realize that there is a lot of discussion back-and-forth about whether it is necessary to keep Picklock and Hacker Perks constantly active since it is so easy to swap Perks. My personal opinion on this is two-fold: #1, constantly swapping all those cards back-and-forth gets annoying and really takes away from the joy of playing the game/immersion; #2, there are likely to be situations in which you have to take immediate actions, such as hack a terminal, while still at risk of attack and the extra time needed to switch out cards can make a major difference in your ability to survive. Do the card swaps back at base when it’s time to craft, not when you’re out in the wasteland. Additionally, this build allows for sufficient Intelligence to handle all of the necessary combinations of crafting-related Perks so that you can build a fully stocked base, craft and mod that perfect rifle, or get your power armor tuned just right. Note: at level 31 Starched Genes (Rank 2) will be in place and time can be spent on getting Chameleon and/or any other mutations that seem worthwhile. Listed below is the full Levels 1 to 56 build identifying SPECIAL points and Perks at each level. This list takes into account the minimum level for each Perk. Of course there may be extra cards gained through Perk Packs that speed up the process or fill additional interim slots. There will hopefully be a sufficient number of such cards that will enable access to some crafting cards or other useful add-on perks earlier in the process. Otherwise, they can be gained post-56. Good luck and see you all in West Virginia! Could you please explain the Portable Power perk? 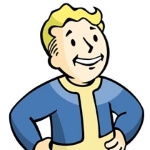 Many of your other perks indicate you won’t be using Power Armor. Thanks for the build. It is excellent. I am curious other than just the perks. What gear are you running with this build. is there certain Legendary pieces I should be looking to get? Is it just me, or has the formatting changed? Hi! At level 6, you mention getting the SECOND rank of Lone Wanderer, but we didn’t pick the FIRST one yet. Is there a way to get the first one before level 6 ? hi,I’m following this guide and i think the level by level thing it’s really useful so thank you for that, I was wondering is there any alternative to starched genes? I don’t know if I want to use mutations but I don’t know what other perks to get, maybe I should just farm mutations until I find a good one. The build looks nice – but the leveling guide doesn’t work. I didn’t have the option to take action boy at level 2. Pharma Farma is not an Agility skill, but a Luck skill. edit: I just learned it’s possible to take a card from a different stat! Use the filter skills keys. There are probably more but I stopped trying to follow it after the 2nd one. I really miss the fallout 4 perk interface. 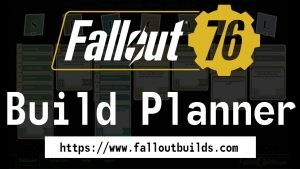 It was so much easier to plan builds with! Trying this guide, level 4 i can pick intelligence hacker however it wants me to select from a group of perk cards which are not in the guide. I really like this build and although the website formatting is screwed up I notice that you have Scrounger twice, once at lvl 18 and once at lvl 23, is this possibly a mistake?